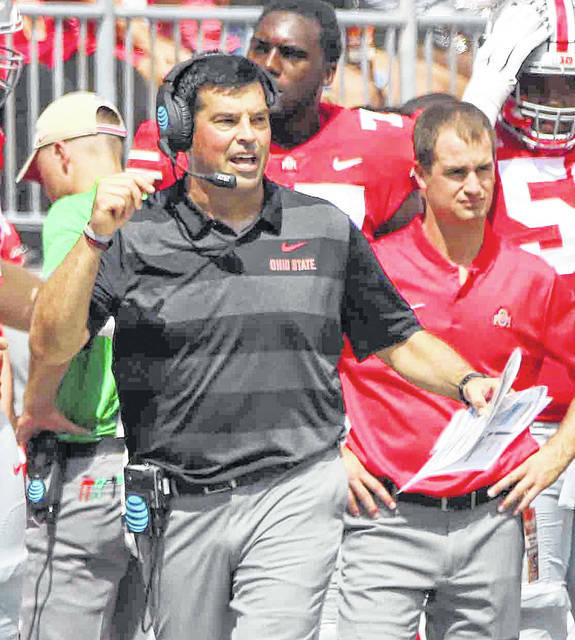 Saturday’s game against Texas Christian University will be Ryan Day’s last as Ohio State football head coach before Urban Meyer returns from his suspension. Obviously Texas Christian University is not Rutgers and bears little resemblance to Oregon State, the two teams Ohio State dominated in its first two football games of the season. They’re preparing pretty much the same way as any other week, acting coach Ryan Day said. This will be Day’s last week of standing in for head coach Urban Meyer during his three-game suspension. Defensive coordinator Greg Schiano discussed several topics including OSU’s defensive backfield, its linebackers, former Buckeyes cornerback Denzel Ward’s big day for the Cleveland Browns, Chase Young’s two unsportsmanlike conduct penalties and what teams are doing to try to contain Nick Bosa.